In this A Bullseye View series, we take a look through the Target Vault—a storied collection of historical artifacts, photographs, textiles and more. After a drab winter across the country, we can’t wait for warmer weather. Thankfully, spring officially arrives in a couple of weeks. As we look forward to the season of renewal, where both flowers and friends come out of hibernation, we’re springing back to a blossoming time in history with the Target Archives. 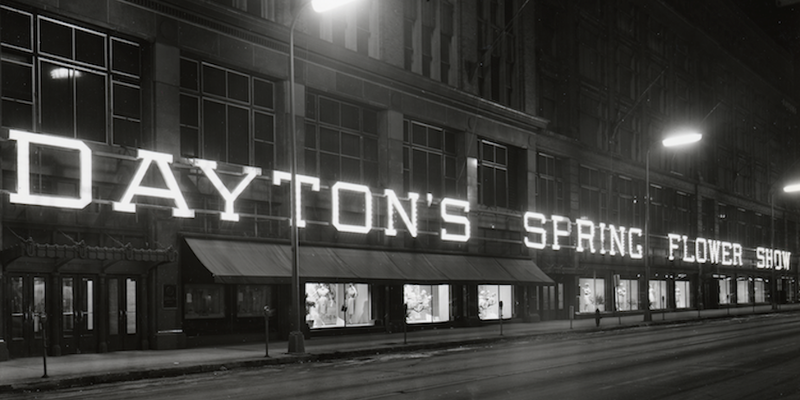 In March 1960, Dayton’s—Target’s predecessor—hosted its own spring equinox, an elaborate flower show that served as a much-needed reprieve for Minnesotans from the cold winter air. More than 100,000 buds, trees, shrubs and vines transformed the first floor of the downtown Minneapolis store into a grandiose garden. 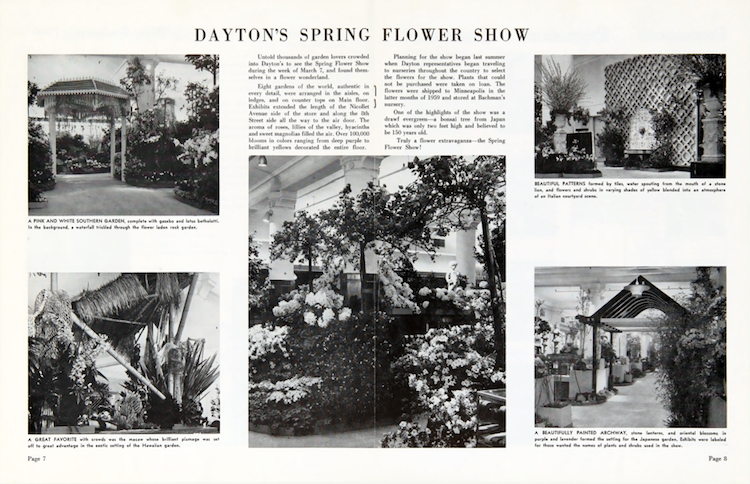 In that first weeklong show, 341,593 shoppers strolled through Dayton’s to discover both local and rare flowers from the corners of the world, including fragrant freesias and fuchsia trees more than eight-feet tall to Hawaiian palms and Japanese weeping cherries. Of course, Dayton’s departments dressed in festive florals too. Each area of the store got a fresh spring makeover with merchandise displays in leaf-bud green and bright botanical prints. Needless to say, Dayton’s flower show became an instant tradition, growing in size, splendor and subject with each passing year. The planning of each show was as impressive as the show itself, which leveraged landscape architects, floral designers, arrangement experts and more to create a colorful countryside indoors. Take a tour through Target history below, and peruse a few of our favorite Dayton’s flower shows of years past. Get ready for spring! 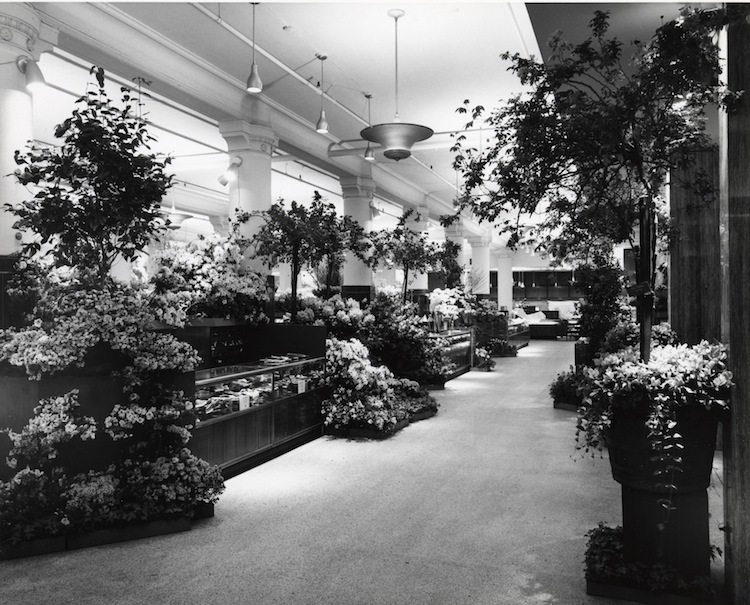 1960: The inaugural flower show transformed the retail landscape—literally. 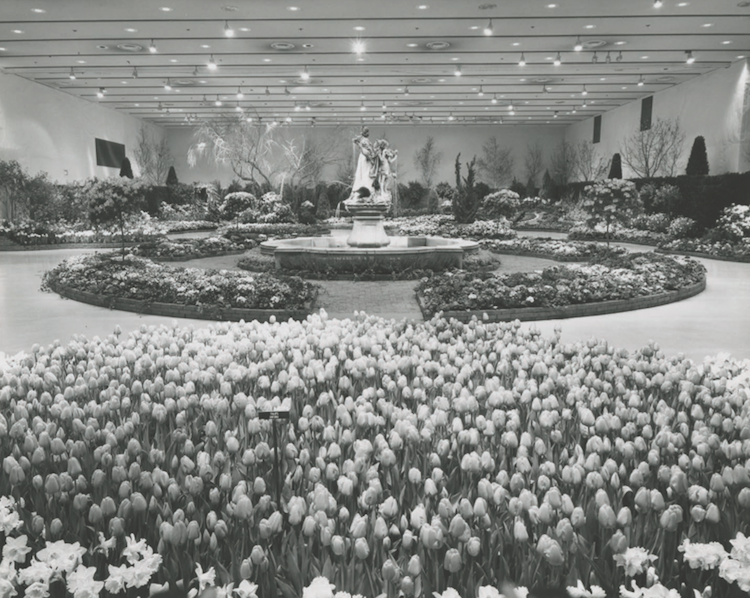 1965: An English garden featured working fountains and flowers flown in from the English countryside. 1966: Italy inspired the ’66 show, transforming Dayton’s into the magnificent Renaissance gardens of Italy, including soaring colonnades, classical arches and bubbling fountains. For the occasion, Dayton’s commissioned a complete replica of The Four Seasons statues, marking the first time in history that “LeQuattro Stagioni” had ever been duplicated. Magnifico! 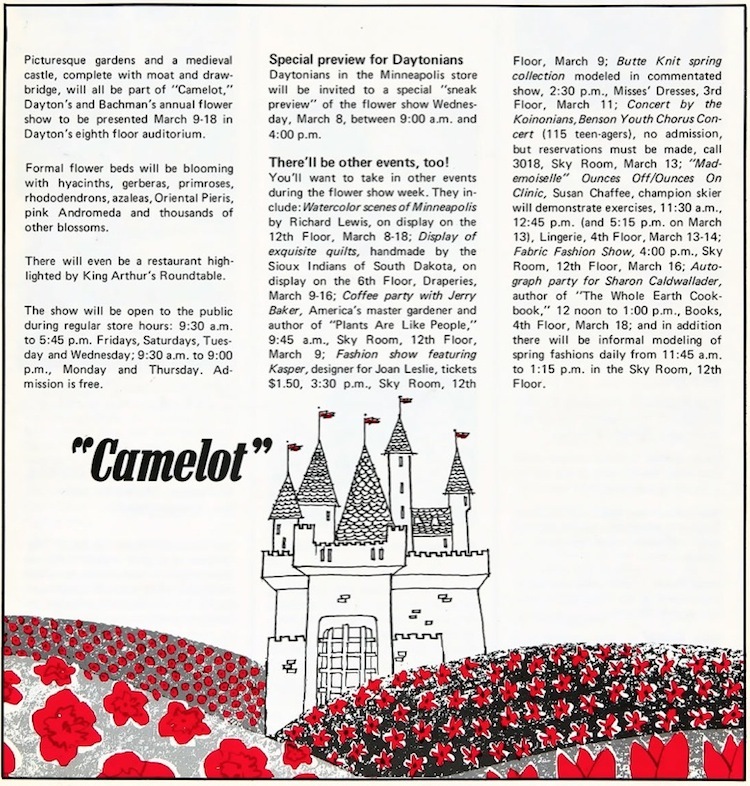 1972: The “Camelot” theme included a medieval castle complete with sculptures, moat and drawbridge. 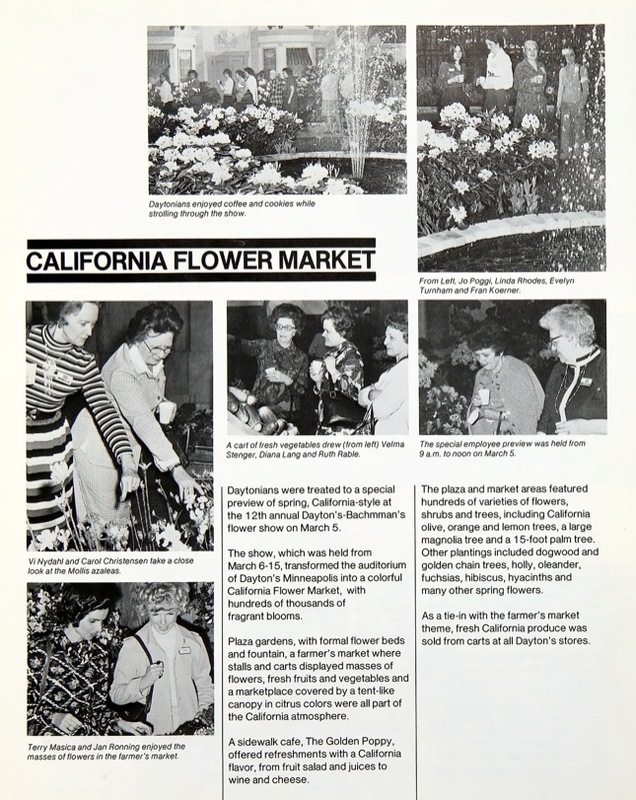 1975: Taking inspiration from the California coast, the show embraced golden poppies, dogwood trees and even a farmer’s market. 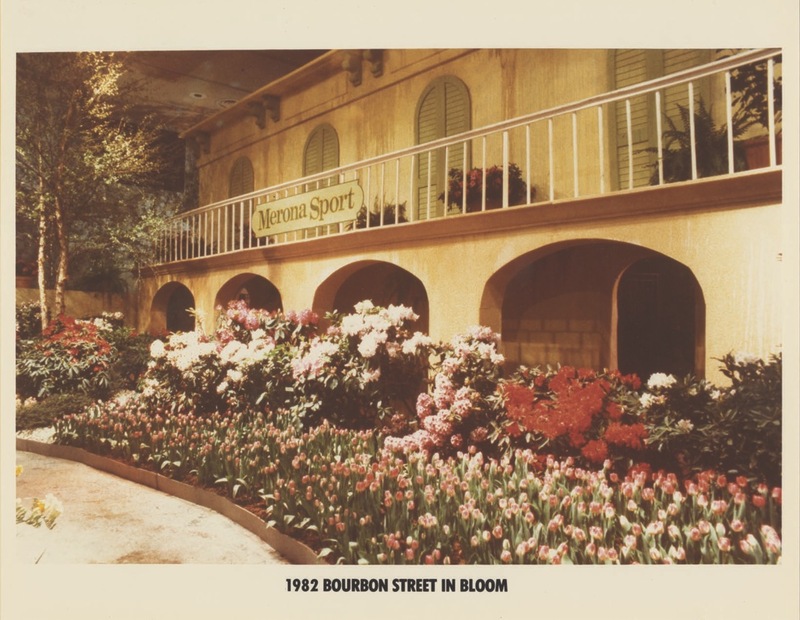 1982: “Bourbon Street in Bloom” brought Mardi Gras colors to life and lively jazz music to the flower show. 1984: Things got wild in ’84, when the theme centered on Minnesota wildlife, forests, lakes and hills. With more than 100 towering pines, firs, white birch and other native shrubs, it was a true spectacle. 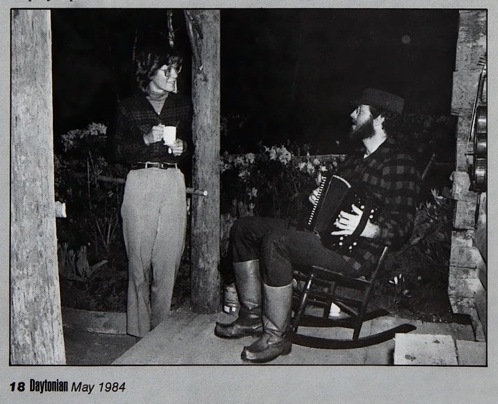 Of course, a lumberjack was included. 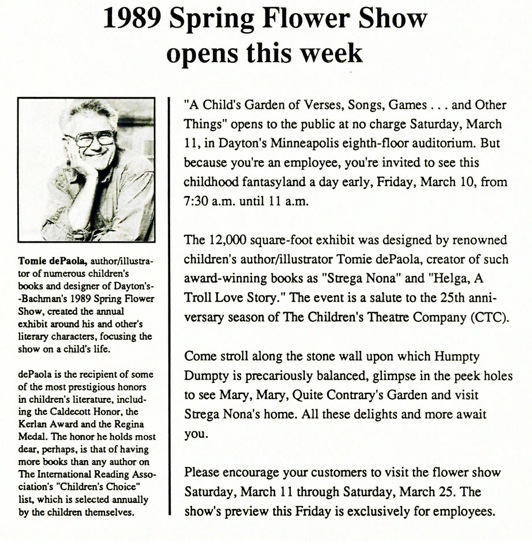 1989: The ’89 flower show—a 12,000 square-foot exhibit—was designed by renowned children’s author and illustrator Tomie dePaola. In a mystifying world combining literature and landscape, shoppers strolled along the stonewall upon which Humpty Dumpty sat, glimpsed into Mary, Mary, Quite Contrary’s garden and visited Strega Nona’s home. What’s your favorite flower show in Target’s history? Let us know in the comments below! Hopefully it springs up some good discussion.